The silver-gilt award-winning Myeloma UK Garden will receive a new breath of life as it is moved to The Hospice of St Francis, Berkhamsted. 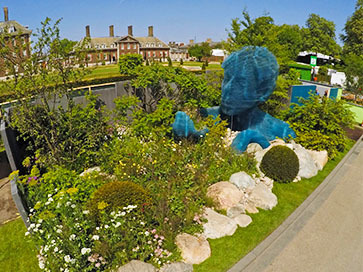 A garden which brought the wow factor to this year’s RHS Chelsea Flower Show is to open at The Hospice of St Francis – one of only nine of the 27 gardens exhibited to be relocated in its entirety. The designers of the silver-gilt winning Myeloma UK Garden, John Everiss and Francesca Murrell, will give talks about its creation and planting scheme and Dame Carolyn McCall, DBE, OBE and the first female Chief Executive of ITV, together with Rosemarie Finley, Chief Executive of Myeloma UK, will officially cut the ribbon. Peter King, from Great Gaddesden, was the inspiration for the garden after losing both his wife Gill and brother Graham to myeloma in 2016. 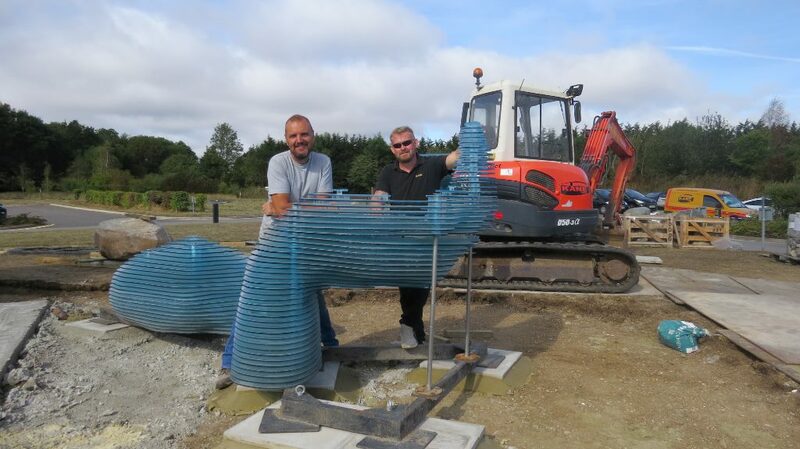 After Chelsea, Peter raised over £11,000 through a crowdfunding campaign to help Myeloma UK pay for the cost of the garden at Chelsea and cover the cost of installing it at the Hospice. The garden is a gift to the Hospice from Myeloma UK and Peter. It is hoped that the Grand Opening will raise a substantial amount for Hospice care. Rising from the garden’s centre is an enormous translucent sculpture, built from a total of almost 200 layers of Arctic blue Perspex, and modelled on Peter and Gill’s daughter, Gemma Peace. Kate Phipps-Wiltshire, Hospice CEO, said, “We are honoured and excited to be giving a permanent home to a stunning Chelsea Flower Show garden, which will not only enhance our beautiful existing gardens but is a testament to Peter and Gill’s love and Peter’s determination to make a difference for others. Tickets are still available to attend the special event. Attendees will be welcomed to the Hospice between 12.30pm and 5pm. Ticket price includes guest speakers, a welcome glass of fizz, canapes, live music from steel pan pioneer Sterling Betancourt MBE and his band, butterfly and bee displays as well as tours of the Hospice’s seven-acre gardens.